For the past several years, researchers at the University of Illinois at Urbana-Champaign have been developing a class of walking "bio-bots" powered by muscle cells and controlled with electrical and optical pulses. Now, Bioengineering Professor Rashid Bashir’s research group is sharing the recipe for the current generation of bio-bots. Their how-to paper is the cover article in Nature Protocols. Schematic of a bio-bot: Engineered skeletal muscle tissue is coupled to a 3D printed flexible skeleton. Optical stimulation of the muscle tissue, which is genetically engineered to contract in response to blue light, makes the bio-bot walk across a surface in the direction of the light. As stated in the paper, "Biological machines consisting of cells and biomaterials have the potential to dynamically sense, process, respond, and adapt to environmental signals in real time." This can result in exciting possibilities where these "systems could one day demonstrate complex behaviors including self-assembly, self-organization, self-healing, and adaptation of composition and functionality to best suit their environment." Bashir's group has been a pioneer in designing and building bio-bots, less than a centimeter in size, made of flexible 3D printed hydrogels and living cells. 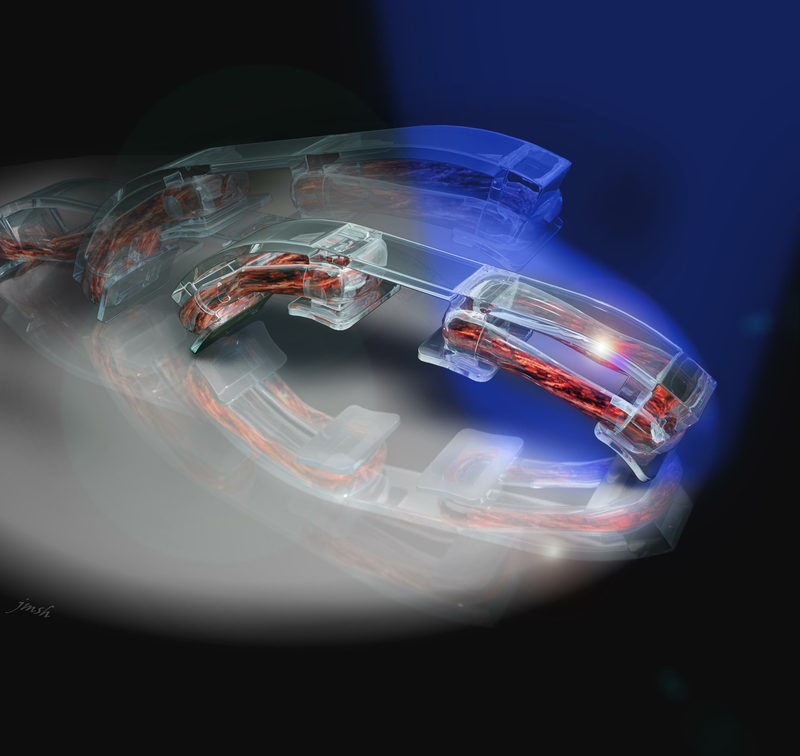 In 2012, the group demonstrated bio-bots that could "walk" on their own, powered by beating heart cells from rats. However, heart cells constantly contract, denying researchers control over the bot's motion. “The purpose of the paper was to provide the detailed recipes and protocols so that others can easily duplicate the work and help to further permeate the idea of 'building with biology’--so that other researchers and educators can have the tools and the knowledge to build these bio-hybrid systems and attempt to address challenges in health, medicine, and environment that we face as a society,” stated Rashid Bashir, a Grainger Distinguished Chair in Engineering and head of the Department of Bioengineering. In addition to Bashir and Raman, Caroline Cvetkovic, a recent graduate student in bioengineering and now a post-doctoral fellow, was a co-author of the paper. Work on the bio-bots was conducted at the Micro + Nanotechnology Lab at Illinois. Contact: Rashid Bashir, Department of Bioengineering, 217/333-1867.